HowMechanismWorks ? 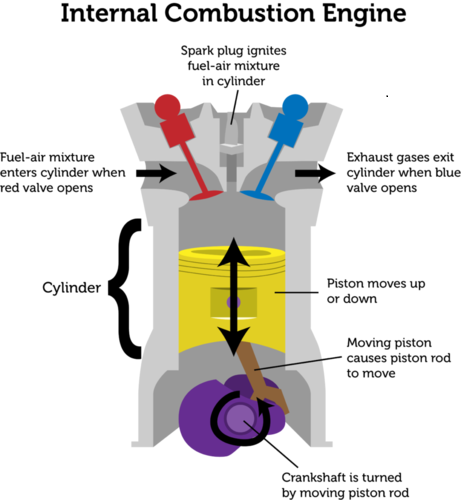 : How Does The Internal Combustion Engine Work? Combustion, also known as burning, is the basic chemical process of releasing energy from a fuel and air mixture.Internal-combustion engine, one in which combustion of the fuel takes place in a confined space, converts chemical energy into thermal energy, to produce useful mechanical work. The combustion of air and fuels take place inside the combustion chamber that is an integral part of the working fluid flow circuit. In an internal combustion engine the expansion of the high temperature and high pressure gases produced by combustion apply direct force to component of the engine which consists of a fixed cylinder and a moving piston. The expanding combustion gases push the piston, which in turn rotates the crankshaft. Ultimately, through a system of gears in the power-train, this motion drives the vehicle’s wheels.. The force is applied typically to pistons, turbine blades or a nozzle. Air-fuel mixture in the combustion chamber is ignited, either by a spark plug (in case of SI Engines) or by compression (in case of CI engines). This ignition produces tremendous amount of heat energy and pressure inside the cylinder. This induces reciprocating motion in the piston.Power of the piston is transmitted to a crankshaft which undergoes rotary motion. The rotary motion is ultimately transmitted to the wheels of the vehicle, via a transmission system, to produce propulsion in the vehicle.As the combustion takes place internally inside the cylinder (a part of working fluid circuit) the engine is called internal combustion engine. 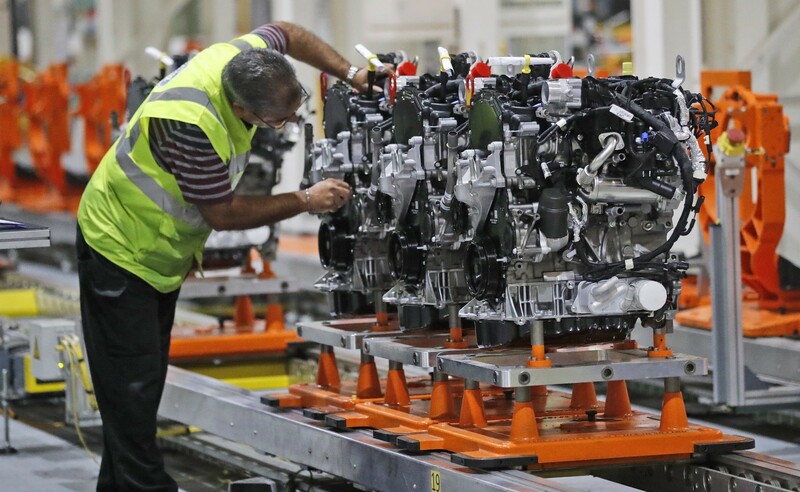 There are two kinds of internal combustion engines currently in production: the spark ignition gasoline engine and the compression ignition diesel engine. Most of these are four-stroke cycle engines, meaning four piston strokes are needed to complete a cycle. The cycle includes four distinct processes: intake, compression, combustion and power stroke, and exhaust. (c) dual combustion cycle (semi diesel cycle) engine. (b) Injection type (fuel injected into inlet ports or inlet manifold, fuel injected into the cylinder just before ignition). (f)Opposed cylinder or piston engines. (e)Prime movers for electrical generators.